Hera - BOM - Main Quilt - Includes Pattern - 80in x 80in - SOLD OUT! Flexible BOM Programs > Hera - BOM - Main Quilt - Includes Pattern - 80in x 80in - SOLD OUT! 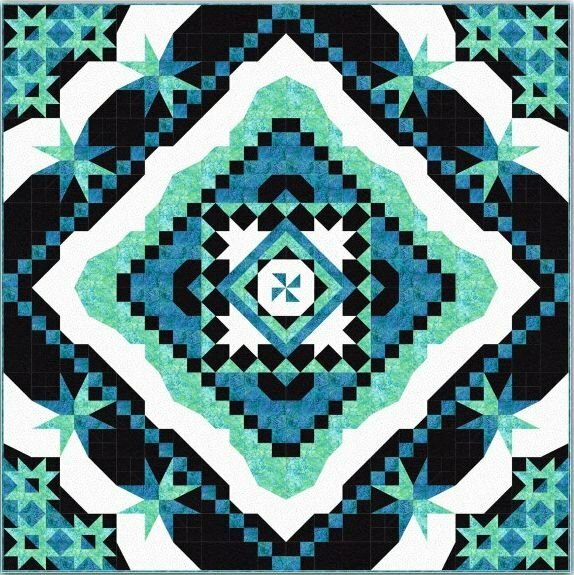 Original Quilt Size: 80" x 80"
Hera is a 6-Month Block-of-the-Month Program by Tiffany Hayes that uses the most unusual blocks to create a stunning design! 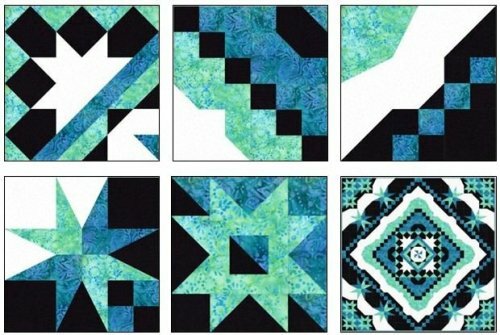 This unique quilt uses only FOUR fabrics and FIVE blocks (plus a few filler units). Amazing! There is even a bonus quilt pattern for the first five months that features the current month block designed into another whole quilt. Hera is all pieced with straight lines but appears curved. The Goddess Tool makes this all possible! This program uses The Goddess Tool to construct the blocks. The Goddess Tool can be purchased here. * Want to make the quilt larger? 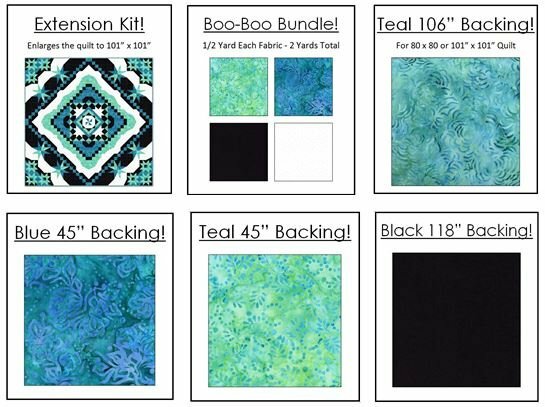 We have Extension Kits to enlarge your quilt to 101" x 101" or 108" x 108"
See all Program Add-Ons here. There is a bonus quilt pattern for the first five months that features the current month block designed into another whole quilt.